NCSC Exclusive: Commemorative 45 Presidential MAGA-zine Featuring Trump! Feature Friday! Fresh off the North County Shooting Center line... Commemorative 1911 .45 ACP presidential MAGA-zines with the likeness of our fearless 45th president, the Trumpster. Very limited supply, so you better come by and grab yours quickly before they’re all gone! These are pretty awesome. We’ll see you at the range this weekend! If you have any questions, feel free to message us on Facebook. 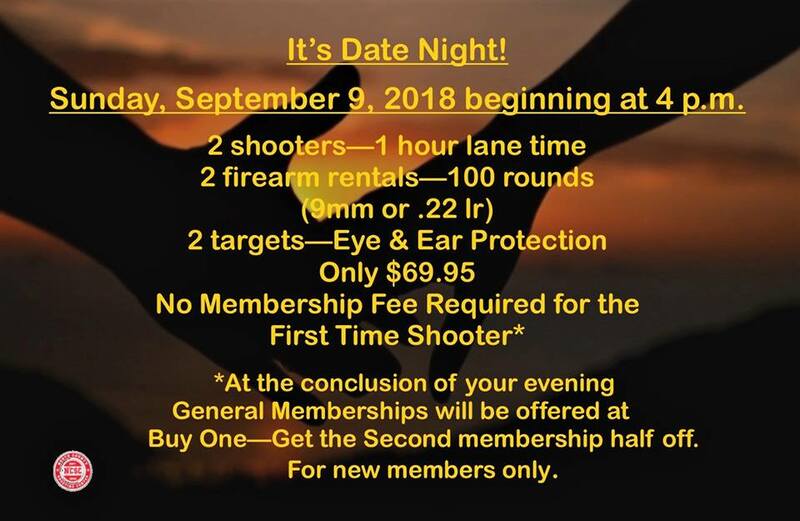 Date Night At North County Shooting Center This Sunday! It's another "Date Night At The Range" here at North County Shooting Center! This Sunday, August 9th, starting at 4pm! Instead of going to that overpriced restaurant or movie, come in with your loved one to enjoy a great time of fun at the range and practice your marksmanship. And, with our climate-controlled range, you can beat the heat while you're at it. San Diego County Gun Owners Meeting Tonight at North County Shooting Center! North County Shooting Center proudly hosts the San Diego County Gun Owners meeting tonight! We will have a pizza and mingle time from 6pm-6:30pm, and then the meeting starts at 6pm. We look forward to seeing you all there to discuss 2nd Amendment news in CA, legislation, activism, and more. Plus, you get to come see our beautiful new range w/ memberships available! Thank you, and let's continue to fight together for 2A rights here in San Diego! North County Shooting Center Is Now Open! First off, we cannot thank our customers, their families and our entire community enough for your continuing patronage, support and patience as North County Shooting Center finally became a reality. YOU are the reason that this dream of ours is realized and we cannot wait for each and every one of you to take your first shots down range. Again, thank you! San Diego's premier, state-of-the-art indoor shooting range is now open for business at 1440 Descanso Ave San Marcos, CA 92069! Our range hours are: Every day 10am-8pm. Come in today and sign up for your membership now here! Owners Stan & Darin of the up-coming North County Shooting Center give a quick shooting range update during construction... stay tuned for range membership info! 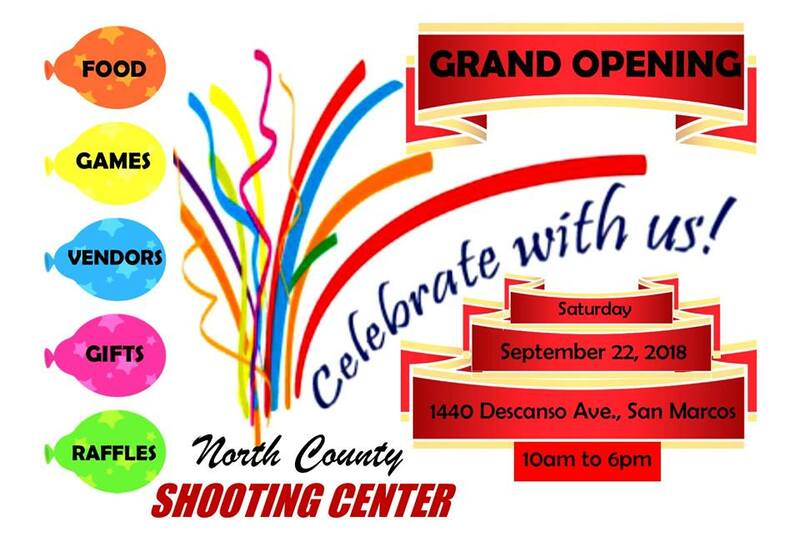 North County Shooting Center will be San Diego's premier indoor shooting range. It is located in North County San Diego in San Marcos, California. It will offer many amenities for members including a full-service indoor shooting range, private lounge (depending on membership level), classes & training, a full-service retail store, gunsmithing / cerakoting, and much more. Be sure to subscribe to the North County Shooting Center YouTube channel for more range update videos. 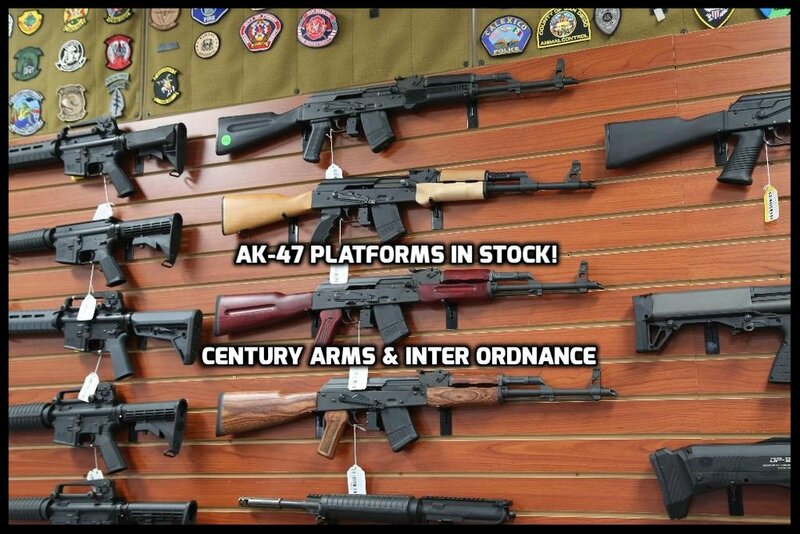 New Products In Stock At North County Firearms! Come by North County Firearms today to check out all of our new products in stock! We carry stellar rifles, handguns & shotguns. Every manufacturer from Glock to Remington, Sig Sauer, Winchester, Uberti, FN, Kel-Tec, HK, Colt, Springfield Armory, Smith & Wesson, Ruger, Henry, Magpul, Steiner, Bergara, Vortex, Estate, and many more! We have a lot of specials on weapons, ammo, optics, range gear and more. Come by the shop today to see how we can help you out with purchasing your next firearm, piece of gear or accessory! Also, stay tuned for updates on our upcoming shooting range: North County Shooting Center. This Week's Specials at North County Firearms! Come by the shop to check out these and other weekly sales and specials! Limited supply of all items listed, so be sure to be the first to take advantage of these great deals. Black Friday / Small Business Saturday Specials at North County Firearms! Come on by North County Firearms on Black Friday or Small Business Saturday for some amazing specials! We have hard to find AR platform / MSR rifles, Ruger 10/22 rifles, lower receivers, .223 ammo, 9mm ammo, .45 ACP ammo, .22 LR ammo, and much more! We also have North County Firearms Gift Cards / Gift Certificates available for the Holidays! Treat your loved ones to something special this year. And remember, there is *less* than a month left to purchase any and all AR-15 / AR-10 / AK-47 / MSR platform rifles before Jan. 1st 2017 when they will no longer be sold in California. Hurry by the shop now before they're all gone! We hope you all had a very Happy Thanksgiving, and thank you as always for your patronage. Last Date to Pick Up AR-15 / AR-10 / MSR Rifles! North County Firearms is announcing the very *last* day / times for both purchase and pickup of AR-15 / AR/10 / MSR rifles. Last day to Purchase all AR-15 / AR-10 / MSR rifles = December 15th 2016. Last day to Pickup all AR-15 / AR-10 / MSR rifles = December 31st 2016 @ 12pm PST. 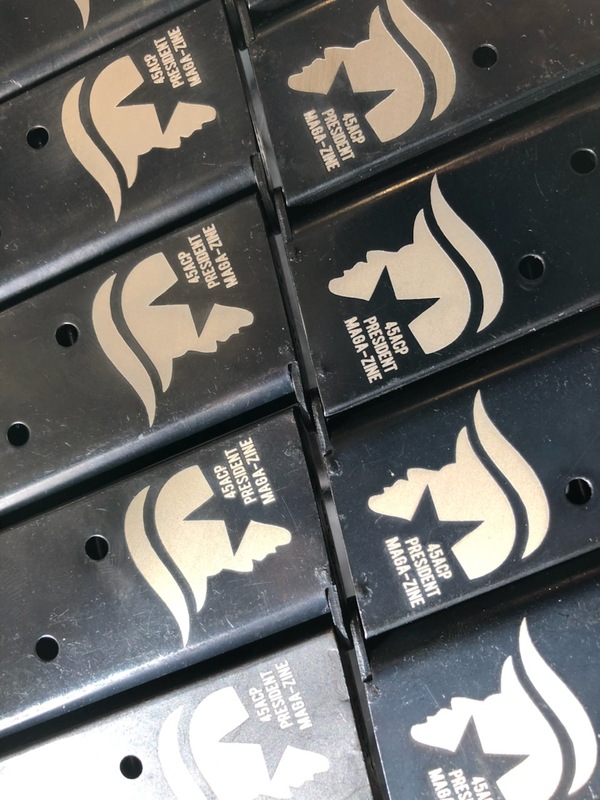 If you have not yet purchased / ordered your final AR / MSR platform rifles here in CA, come by the shop ASAP to ensure that you get what you want before these horrible, anti-2A laws take hold. As always, thank you for your patronage! Now Available: Spike's Billet Lower / Upper Set! Splike's Billet Lower / Upper Set Now Available! Livewire .308 Win. AR-10 Base in stock. We currently only have a few, so surry in to the shop to purchase yours today. Veto Gunmageddon Petitions at North County Firearms! We here at North County Firearms believe that our 2nd Amendment is worth fighting for! Please help out by coming by the shop and signing the petitions to help give WE THE PEOPLE the chance to vote on these ridiculous new CA anti-gun laws this November. With your help, we will stand united behind the constitution and tell our representatives that we believe in the right to keep and bear arms in our state. URGENT: Time Is Running Out To Stop Gunpocalypse in CA! For whatever reason, we were granted a reprieve. The Legislature did not take up Gunpocalypse yesterday. Which means they only have until Thursday to send it to the Governor before they go on break. Twelve of the worst anti-gun bills we have seen could be voted on this Thursday. Let’s try to put a stop to the madness RIGHT NOW! Tell the Legislature NO! SB 880 (Hall): Bans common and constitutionally protected firearms that have magazine locking devices. SB 894 (Jackson): Re-victimizes victims by criminalizing the failure to report lost and stolen firearms. SB 1235 (de Leon): Now competes with Gavin Newsom’s Safety for All Act/Ammo Ban. SB 1446 (Hancock): Confiscation of lawfully acquired, standard capacity ammunition feeding devices. AB 156: Forced ammo registration. AB 857: Forced “Ghost Gun” registration. AB 1511: Bans the loaning of firearms. AB 1664 (Levine): Bans common and constitutionally protected firearms that have magazine locking devices. AB 1673 (Gipson): Redefines “firearms” to include items that are not firearms. AB 1674 (Santiago): Bans buying more than one firearm within a 30-day period. AB 1695 (Bonta): Makes some non-violent misdemeanors punishable by prohibitions on owning firearms. AB 2607 (Ting): Dramatically expands who can request a Gun Violence Restraining order. All of the bills listed above are eligible to be voted on this Thursday. We need YOU to get active NOW and let the Legislature know that enough is enough. Because they weren’t voted on yesterday, we now have extra time to express our opposition. Let them hear your voice today! North County Shooting Center Is A Go! We wanted to take a moment to thank ALL of you that came to our meeting with the San Marcos City Council, supported us on social media, supported us at our store, and much more. We are sincerely grateful for the out-pouring of support we received for our North County San Diego indoor shooting range - North County Shooting Center! The San Marcos City Council approved our Conditional Use Permit last month. 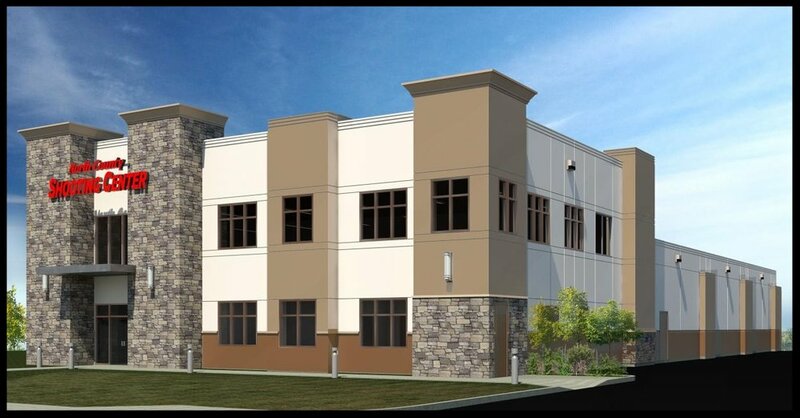 Meaning, we will be breaking ground within the next couple of months for our indoor range, North County Shooting Center, and we will be sure to give you all the details when it is scheduled.